By the early 1700s Edinburgh had become overcrowded, polluted, and had developed an incredibly foul smell, which led to the city earning its nickname ‘Auld Reekie’. Although this name lingers on today thankfully the smell does not, thanks to the rejuvenation of the city by 18th-century town councillors who intended for Edinburgh to replicate the grandeur of London. However, the force that was to really shape Edinburgh into the city that it is today derives from the Jacobite uprisings of 1745 when the Highland Army led by Prince Charles Edward Stuart occupied the city before heading south into England in an attempt by the ‘Bonnie Prince’ to claim his right to the throne. The plan failed though, and the Jacobite’s were eventually pushed back into Scotland until they were finally defeated at the battle of Culloden on 16th April 1746. 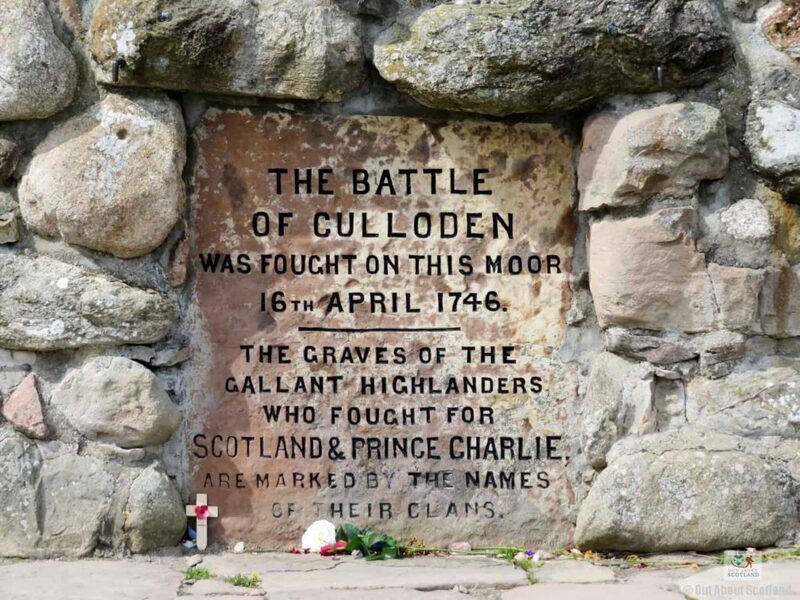 The battle of Culloden was one of the defining moments not only in the history of Edinburgh but also in the history of Scotland, and the repercussions of the event moulded the nation for many years afterwards. The conflict was the final confrontation between the Jacobite forces of Stuart and the loyalist troops under the command of the Duke of Cumbernauld and it sealed the demise of the House of Stuart in their attempt to overthrow the ruling House of Hanover. Although the battle only lasted for around an hour it was catastrophic for the Stuart forces and in the short time that it raged at least 2000 Jacobite’s were either killed outright or were mortally wounded, in contrast to only 300 Hanoverian loyalists that were killed. Because many of the Jacobite forces were Highlanders the British government repercussions after Culloden led to the end of the Scottish clan system, when highland traditions including the wearing of clan tartan was outlawed. It was to be many decades before the wearing of clan tartan in Scotland became popular again. After the fall of the Jacobites Edinburgh’s town council were keen to show their union with their English political masters so they began plans to expand and improve the city in a style similar to London. During these years the city was plagued by health issues which were driving merchants away, and the infrastructure of the roads did little to help commerce between Edinburgh and the rest of the British Kingdom. The Edinburgh Lord Provost decided to build a new town on the land north of Edinburgh, so in 1767 a competition was held to determine the best design. The winner was a young architect named James Craig, and it is he who is responsible for the beautiful streets, circuses, and crescents that were built during the construction of Edinburgh’s New Town. Under the instruction of James Craig a team of architects proposed the single most significant upgrade to any city of the era. The improvements included a new merchant’s exchange hall, new legal courts and libraries, new housing for the middle classes towards the north and south of the Old Town, and a new public garden area below the castle. This was a particularly impressive endeavour as the proposed area was under many feet of water in the Nor Loch, a body of water that had existed under Castle Rock for thousands of years. But the Edinburgh engineers rose to the task and the loch was drained to create what is now known as Princes Street Gardens. As the New Town developed, more and more educated professionals began to move to the city to practice, and soon Edinburgh became world-renowned as a centre of excellence for medicine and law. But as the New Town districts flourished, the Old Town fell severely into disrepair, and the unfortunate residents who lived there spiralled into a destitute life of unsanitary conditions and poorly maintained buildings. Although the Scottish union with England meant that many members of the political classes moved to London, Scottish law was kept entirely under the jurisdiction of Scotland, and so legal professions thrived in the city. With the growing middle classes, universities were built to educate the next generation of professionals, and Edinburgh soon became the first-class centre of learning throughout Europe. The rise of these educated elite classes introduced significant advances in philosophy, science, medicine and economics, which made Edinburgh world-famous as a centre of learning. Many important intellectuals at the time met in Edinburgh to contemplate the advancement of humanity, and it was this thinking that led to the era becoming known as ‘the age of enlightenment’. These great men included David Hume, John Playfair, and William Robertson, who frequently met at The Select Society which eventually lead to the establishment of the Royal Society of Edinburgh in 1783, with one of the founding members being the great economist, Adam Smith. It was around this time that the city gained its other nickname as the ‘Athens of the north’, a name still used today to describe both the architecture of the city and its significance as a centre for intellect and learning. Although Edinburgh had a rich industrial heritage, by the 1800’s it was overtaken by Glasgow as one of the leading manufacturing centres of Britain. While Edinburgh still had traditional industries such as printing, brewing and distilling, Glasgow had trade links with the Americas thanks to its location on the west coast of Scotland, and shipping routes to North America powered Glasgow to prosperity for the next two hundred years. Edinburgh, in turn, became a city for the educated classes who had both an increasing wealth and a desire to spend it. In time the New Town developed into shopping districts and high-end housing, which attracted wealthy residents from all over the UK. However, for the inhabitants of the dilapidated Old Town, life continued unchanged as it had done for hundreds of years, with increasingly unhealthy conditions leading to one of the highest mortality rates in Europe. After a damning report on the sanitary conditions in Edinburgh in 1865, the town council began to make improvements to the Old Town so that it transformed into the municipality that we see today. Many of the ramshackle buildings were torn down and replaced with new structures that kept the medieval character of the city but were in a much better condition for the residents. The other significant improvement was made by clearing people out of the overcrowded slums and into cheap affordable housing, and within a few years the death rate of Edinburgh’s poor fell to similar levels seen by their wealthy counterparts living in the New Town. One further development that was to change the future of the city was the building of the railways which saw a major line built between the two capital cities of Edinburgh and London, with the final station ending directly at Princes Street, in what is now known as Waverley station. 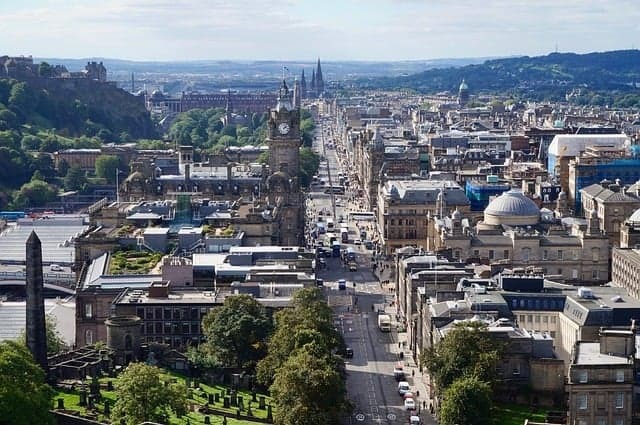 Furthermore, many famous Edinburgh landmarks were built at this time, including; The Nelson monument in 1816, The National Monument in 1829, The Scott monument in 1846, The National Gallery in 1857, The Royal Infirmary in 1870 and The National Portrait Gallery in 1889. Although many British cities were devastated by the destructive power of German bombs during the Second World War, Edinburgh escaped relatively unscathed. The main reason for this was that the lack of industry meant that there was no military advantage in bombing the city, and so the ancient buildings that were part of Edinburgh’s heritage remained pretty much intact. In fact, the main changes came about when the remaining slums were finally cleared in the 1960s to be replaced by new universities and modern housing, with the city ultimately morphing into the combination of preserved ancient buildings and modern structures that we see today. Another major development occurred in 1999 when the Scottish parliament finally re-opened in a brand new building across the road from Holyrood Palace, after a gap of 292 years. 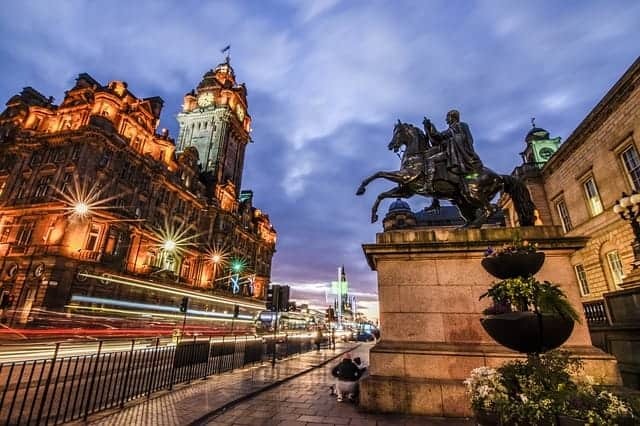 Recent developments have seen significant financial centres locate themselves within the city, and Edinburgh is now regarded as the second major British financial centre, beaten only in size by London. Other than finance, the city has seen a surge in scientific advances, and new industries in cutting-edge technologies are constantly springing up thanks in part to the continued quality of university graduates that are produced year after year. 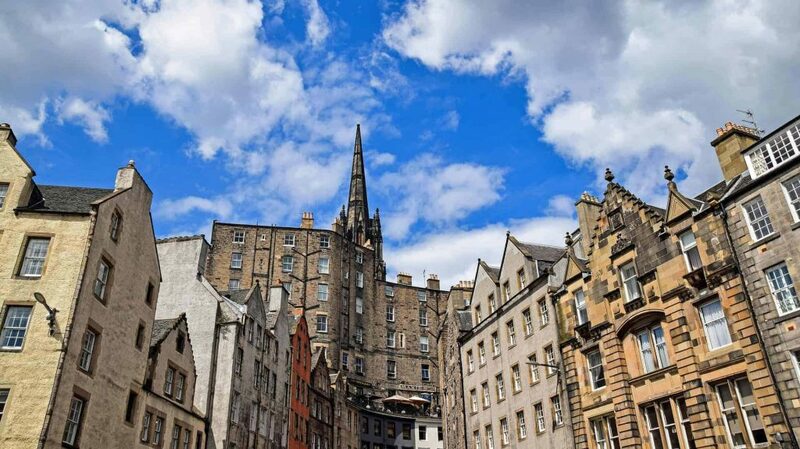 While the history of Edinburgh is chequered by war, poverty, and scandal, the future looks extremely bright and not only has it become a world-leading destination for tourists but it also draws in new residents every year, all keen to experience the history and opportunities that this incredible city has to offer.